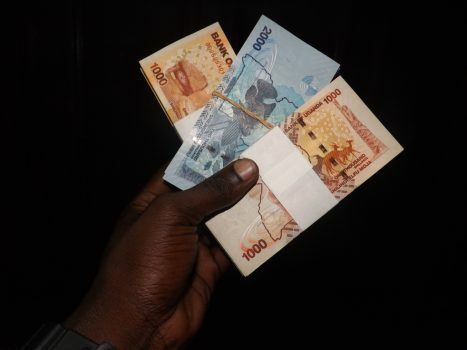 The Uganda shilling strengthened as demand remained dull with very weak appetite for dollars. .
On the supply side, dollar inflows improved, following renewed interest by offshore investors in the bond market. Trading was in the range of 3685/3695. In the Interbank money market , overnight funds traded at 7% while one week funds traded at 10%. In the fixed income space, a 2 year and 15 year bonds were auctioned, the cutoff was at 14.75% while the 15 year was at 17.00%. 265 billion was accepted as targeted. In the regional currency markets, the Kenya shilling gained supported by remittances and investors participating in the debt market amid muted demand. Trading was in the range of 101.20/40. In the global markets, the US dollar failed to maintain its gains as uncertainties kept investors on the sidelines. The trade conflicts and tensions, US government shutdown and global growth downgrade for 2019 will continue to weigh on the greenback going forward. Outlook for the shilling indicate that the shilling will hold on to its gains as demand continues to be lukewarm and end month conversions render support.